There might be a lot of competition for the dinomancers that drop these. I think it is my eighth try and every place where they spawn there are multiple people there. I'm surprised this lil guy's rating hasn't gone way up! Just did Tanaan Terrors and this guy was the hero!! When all else failed he got the job done! S/S will solo Nitun almost every time in three rounds. Black Claw + Hunting Party. You can do the same thing to Lucky Yi and Ka'wi the Gorger, but for Ka'wi I use P/P and for Lucky Yi I use P/S. Nitun used to have 303 speed, so P/S was perfect, but that was changed in January 2016. The S/S breed is now the only breed that is faster than Nitun. Don't forget that Leap will not only hurt, but it doubles speed for 1 round, for the killing blow. Ok here is the fathers whine about these drops. Im farming my lock and in 2 hours get 1 drop toenibbler. My son logs on from his base..Navy man..and comes to hang out. 3 minutes..and im serious 3MINUTES and 5 pets drop..2 of 1 and 1 of each other type. AAAAHHHHGGGG..LOL. he hit me up with 2 of them to help me finish the set..:). easy farm for geared ranged casters with pets. Well worth your time to hang out and farm these little killers. fast respawn on dropping mobs and plenty of direhorns to kill to get bones. This is far and away the best pet for leveling other pets. Use: Bite, Primal Cry, and Devour. Then head to the Heartland in the Valley of the Four Winds and take on all of the critters in the area. It's generally good to have the pet that you're leveling start the battle and already be lvl 6+. In general, the Anklerender can solo everything and end with full health. It is unique among the Zandalari with this skill set. I farmed with others and many dropped, but sadly the person who had them kept winning the rolls and preferred to sell them. Anyone know which breeds work best? Using the P/P version for Lucky Yi. Black Claw - Hunting Party. If not dead finish with Leap. And vs Skitterer Xi'a, Black Claw - Leap - Hunting Party, finish off with with a Bird with Slicing Wind. 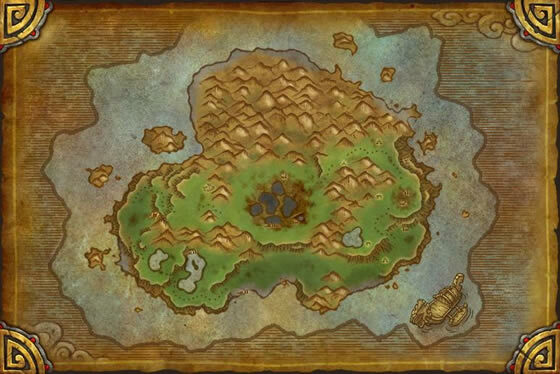 Like all Zandalari raptors they come in lots of variants but they all have no defense and very little health. They do hit hard, very hard. Black Claw is a very powerful debuff. Definitely one of my favourite glass cannon pets (P/P breed that is); they're great against quite a few legendary pets (have fun soloing Lucky Yi for the daily), including Celestial Tournament ones. I have three P/P Anklerenders and Kneebiters, as they have the best ability combos (Black Claw, Hunting Party, and another attack). Just a suggestion - do NOT farm these with another person who already has them. A friend helped me for a couple of hours, farming almost continuously. Only one pet dropped the whole time. She had all four already learned. She was astonished how hard it was to get anything to drop. When I went back alone, I got the other three with only 3 clears of the two land camps near the ship. Might be 1/person only, which would bork the drop rate farming them in a group. Very simple farm! I was able to solo the mobs that drop these (though they are level 90 elites, so keep that in mind) with a bit of kiting and a few bubbles as a badly geared 90 Shadow Priest. Got all four of the new raptor pets (plus a few extra for the AH) within an hour and a half. :) Good luck! I for one cannot wait for these little cuties. Raptor babies are by far my favourates in the game. 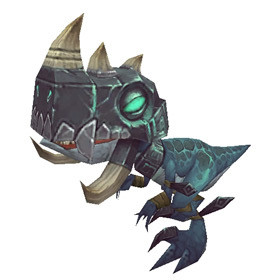 These tiny minions of Zandalar are adept at stowing away within the cargo holds of the enormous Zandalari warships.